With Christmas over and done with it seems rather strange to dive back into winter wonderland with The Snowman, but the timeless story is a joy to watch no matter what. The current production of The Snowman, which originated at the Birmingham Repertory Theatre, has been enchanting audiences young and old for many years now. Based on Raymond Briggs' beloved children's book, The Snowman takes audiences on a magical adventure filled with dancing woodland animals, a jolly Father Christmas, and an icy Jack Frost! The story itself is a quaint one, which could be seen to parallel The Nutcracker in several ways. A young boy builds a snowman which comes to life, and together the pair explore the boy’s own home before heading off to a snowy winter haven, filled with frolicking reindeer and snowpeople from all over the globe. It’s an irresistible tale, which will have its youngest audience members entranced, while older theatregoers will have a hard time not succumbing to the nostalgia it exudes! Of course, the most anticipated moment of the show is the famous flying scene. There's no denying a sense of awe is elicited when the boy and his snowman lift up into the air, accompanied by the unmistakable vocals of a young Aled Jones singing Howard Blake’s Walking In The Air, now a bonafide Christmas classic! Unfortunately, the sentimental element does seem to come at a price. This show first opened over 20 years ago, and as such the set design and costumes do appear to lack the kind of vibrancy and sleekness found in more modern children’s theatre productions. It would be nice to see The Snowman given a fresh lick of figurative paint, as in its current form it feels slightly tired. Although this production’s design does feels dated, the story itself is still fresh and no doubt provides many children with their first introduction to professional dance, which in itself is worth a mention! 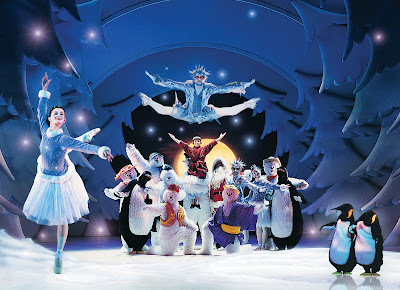 It is a shame that the sets and costumes feel like they could benefit from a refresh, as the magic of The Snowman is in its spectacle, however, there is still more than enough to keep audiences entertained throughout.